Fearnley Drain Culvert Crown Replacement - Pensar. The Infrastructure People. Fearnley Drain is a tidal waterway running through central Cairns, Far North Queensland. The culvert structure crossing the drain on Mulgrave Road had deteriorated due to the harsh saltwater environment. 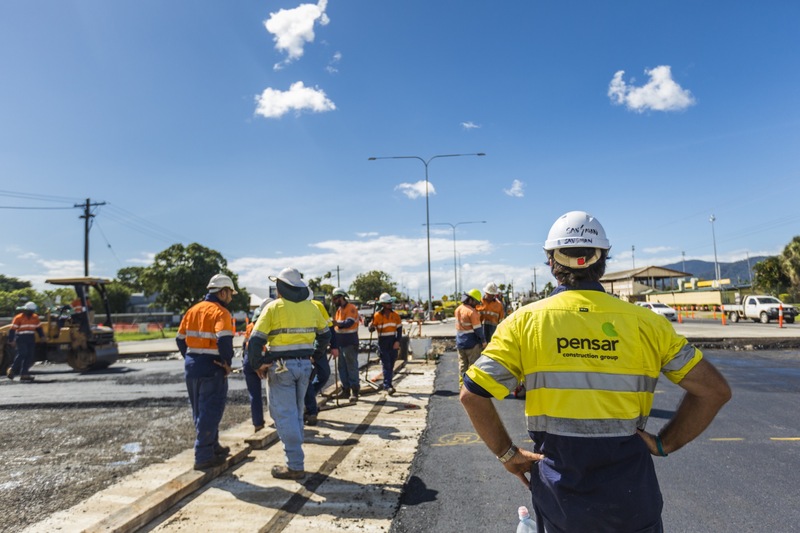 In April 2015 Pensar was awarded a contract by the Department of Transport and Main Roads to replace the main structural component of the culvert. Mulgrave Road is a major arterial route with a high volume of traffic (22,000 vehicles per day). Zero harm to the sensitive marine environment through effective management and control of risks. Positive feedback from local stakeholders during and after construction. Works constructed under traffic with 22,000 vehicles per day (sixlane divided arterial road) and zero reported traffic incidents.